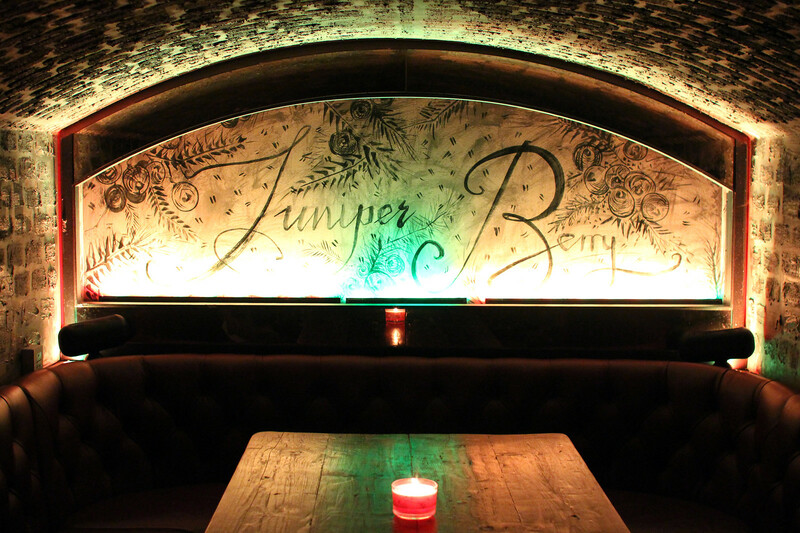 Since moving to Edinburgh a few years ago now, I’ve always been on the look out for the latest best local foodie and drinks spot to add to my list. Living in the West End myself, the perfect location for an after work drink, or weekend catch up with friends is always on my radar. 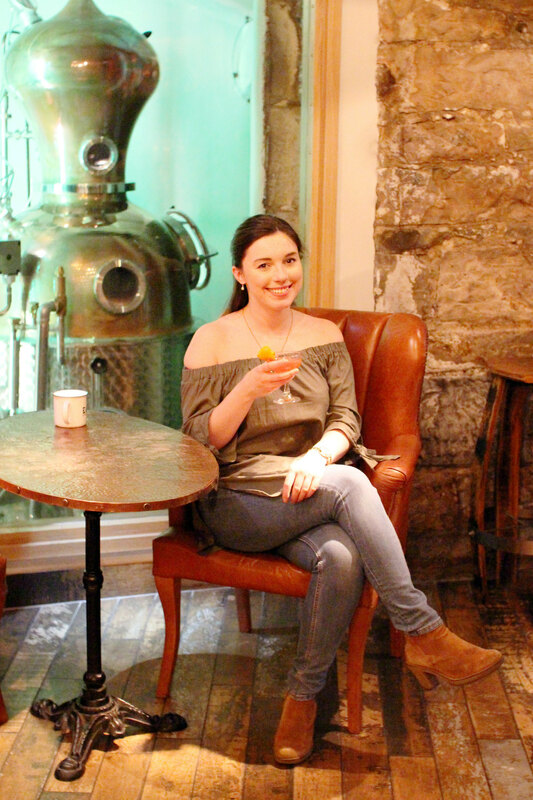 In the same trendy underground cave-like location which hosts the Edinburgh Gin distillery; you’ll find Heads & Tales Bar. To the passing eye you might not even realise it’s there, but it’s a gem to be found. On the corner of Rutland Street, right below the Huxley boutique hotel. A perfect central location from the city centre itself, a stones throw away from Princes Street. Settling into our own cave booth for the evening, we were ready to see what was on the menu. What better to accompany your fancy cocktails with a cheese or mezze board, or maybe even some haggis bon bons? We opted to try a selection of their ‘light bites’ on offer. If you’re a constant nibbler like me, you’ll love the idea of a tasty little something to go along side your beer or cocktail. 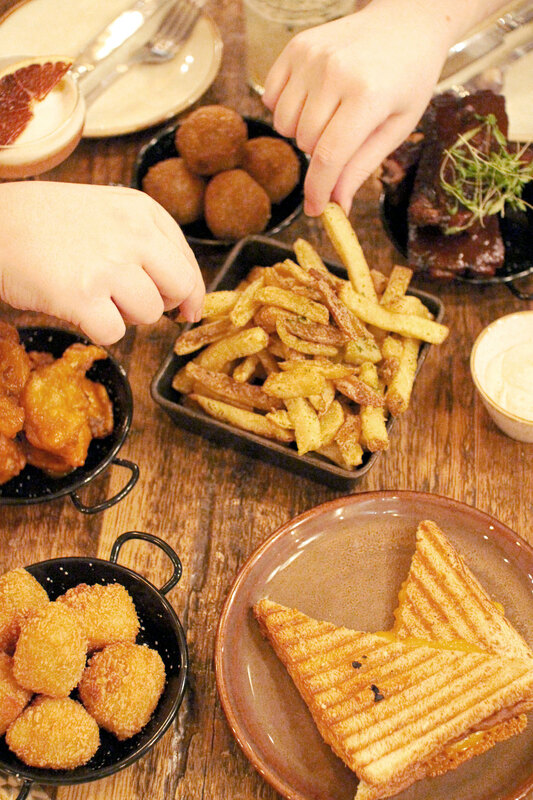 We ordered the cheese toastie, haggis bon bons with a grain mustard mayo, some mac and cheese bites with a Bloody Mary infused ketchup, chicken wings and buffalo sauce, some BBQ ribs, oh and some garlic butter fries with parmesan. Did I say how much I enjoy snacks already? All of the food was great, and I couldn’t get enough of the fries. All fairly reasonably priced between £3 to £6.50, it certainly gave us the little snack boost we needed after work. Changing things up weekly with their ‘gin of the week’ you’re given the option to create your own custom cocktail. First choose a glass, choose a gin, then your additional flavour, and repeat! I tried the Martini glass with Portobello Road gin and cherry, for something a little more refreshing after some of our spicy light bites. 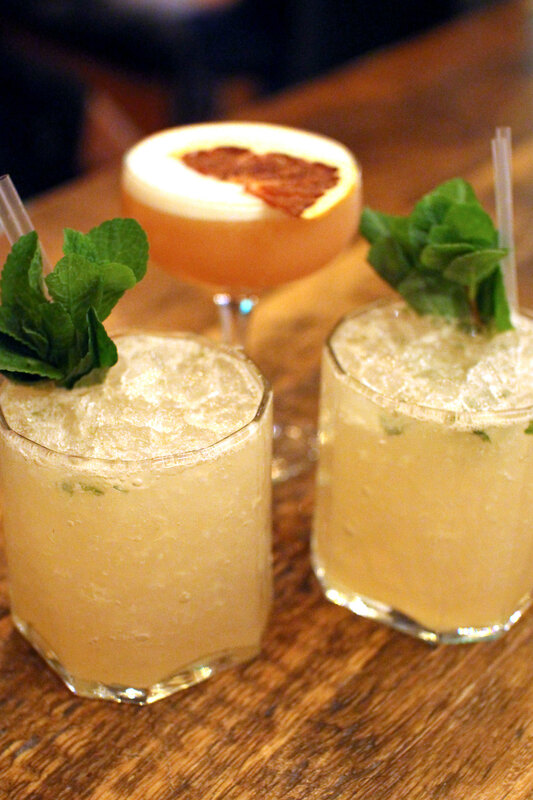 Other cocktail favourites include the ‘West Side Story’ with elderflower gin, peach, plum and mint and the creative ‘I Scream’ served with a scoop of ice cream with salted caramel, vanilla, chocolate and even popcorn! The perfect dessert cocktail to finish up your snacks with. 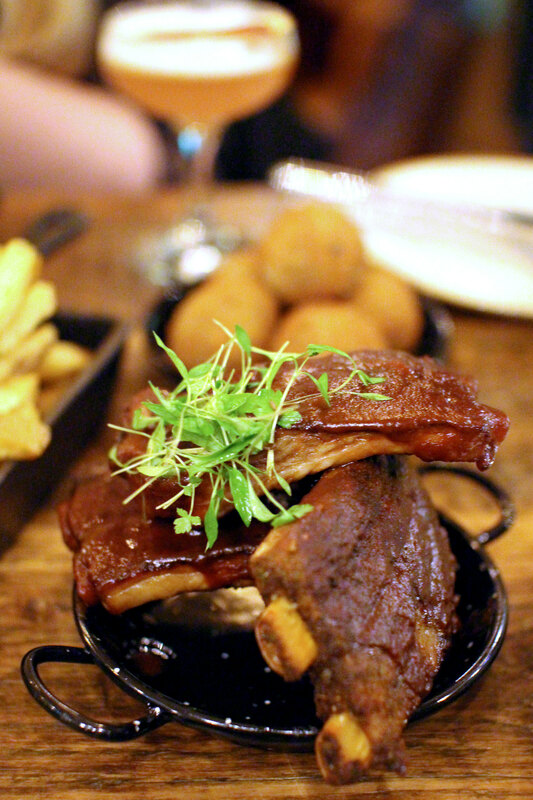 Have you tried out Edinburgh’s Heads & Tales Bar? 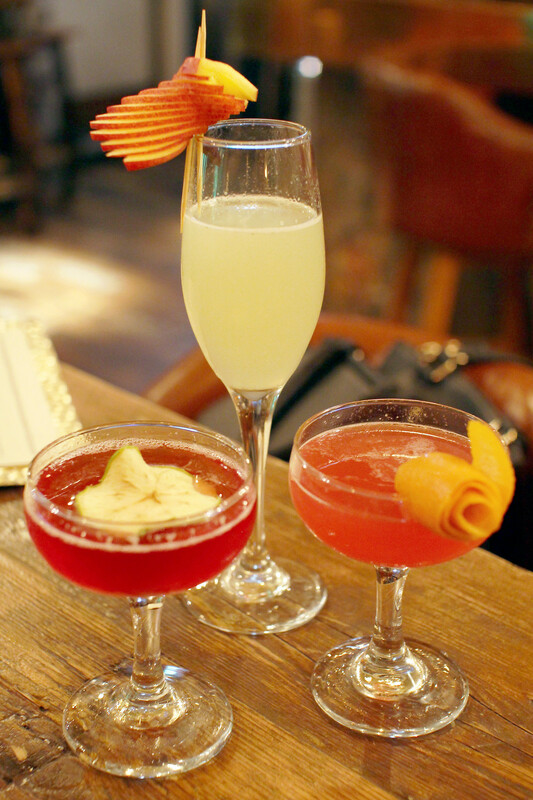 We received complimentary drinks and food at Heads & Tales Bar. All views and photographs are my own.